Audi CEO Rupert Stadler, who temporarily stepped away from his position at the company after being implicated in Volkswagen Group’s Dieselgate scandal and jailed back in June, is finally leaving the company after months of deliberation by the automaker’s lawyers and board of directors, Reuters reports. Stadler was arrested back in June for alleged attempts at tampering with evidence concerning Germany’s investigation into the Dieselgate emissions-cheating scandal. 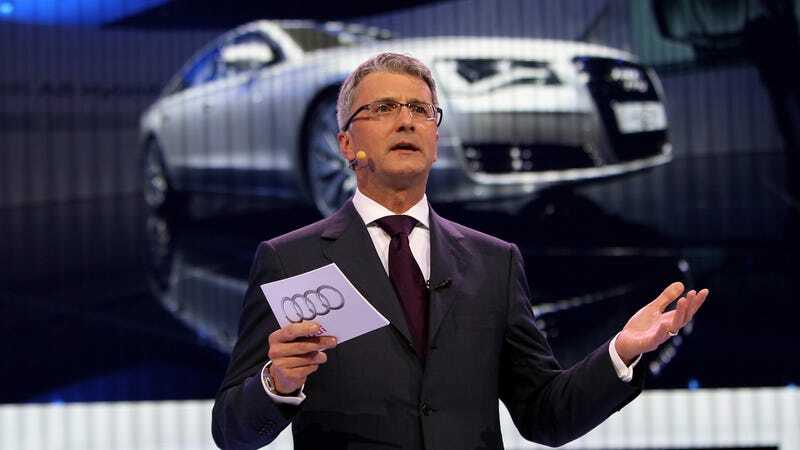 Audi and parent-company Volkswagen Group didn’t immediately terminate Stadler when he was forced to temporarily step down under the presumption that he was innocent of the charges until proven otherwise. Stadler is the most senior employee of Volkswagen to be arrested in the Dieselgate case, though former VW CEO Martin Winterkorn was also indicted in the U.S. but has eluded arrest. The automaker and Stadler reached an agreement for his leaving, and he likely will get plenty of, uh, funding for his defense out of it.